A city for the senses, from the enticing scent of a hearty gumbo to the energizing beat of a jazz band. 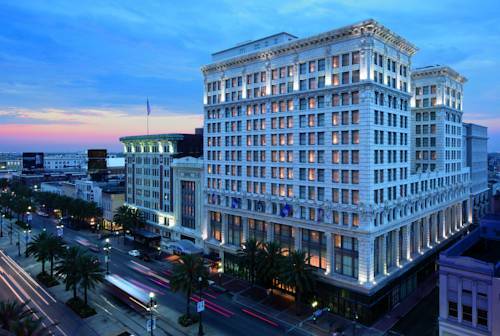 At The Ritz-Carlton, New Orleans, located on the edge of the French Quarter, the experience of the city comes to life as soon as guests cross the threshold of the historic luxury hotel. Set within the 1908 Beaux Arts Maison Blanche building, our hotel highlights traditional Southern ambiance with an elegant interior that reflects the graciousness of antebellum mansions. M Bistro: Farm-to-table and authentic New Orleans cuisine. Davenport Lounge: The lounge named in honor of the hotel's headline entertainer Jeremy Davenport.